For this project, I was inspired by my best friend. She had been wanting some disco-fabulous armor-inspired wearable technology for music festivals and costume parties for some time. 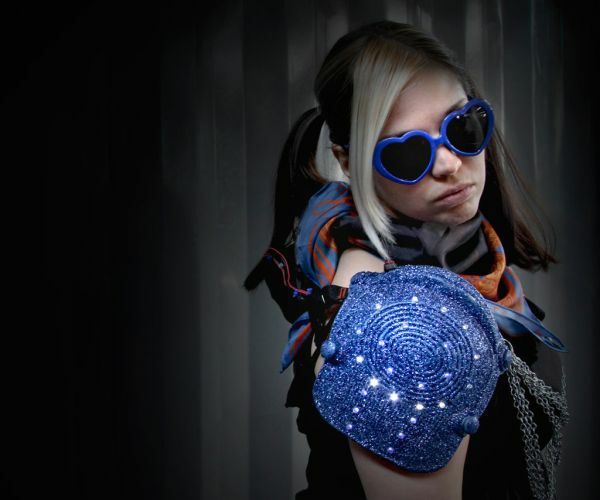 I took a pair of construction/gardening knee-pads and turned them into glitterific shoulder pads that shine bright with 50 LEDs that are Arduino controlled! This project was super fun to make! SO SPARKLY! In an effort to prep the knee pads to transform them into shoulder pads, I took off the straps and foam. This was a little tricky, and took a little bit of wrestling – but I was able to get it off without ripping the foam apart. If you need to, use a pair of scissors to cut the foam away from the pegs holding it in place. I put down some waxed butcher paper on the shop floor, so I wouldn’t turn it blue with my overspray. After I had the paper taped down, I set my shoulder pads on top of it, and went to town with the paint. The trick to getting good results with spray paint is distance, motion and time. Hold the can more than 6 inches away from whatever it is your painting. 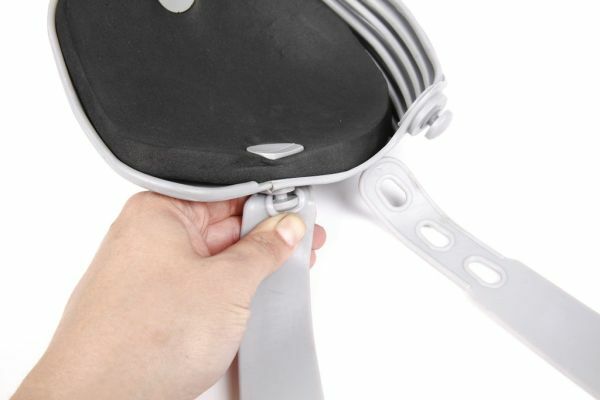 Move the nozzle and can constantly while applying paint in zig-zag sweeping motions. Allow the paint adequate time to dry. This will vary depending on the type of paint you use – read the directions on the back of the can – this paint took a full 24 hours to dry. After the spray paint dried, I began to coat it with Spray adhesive and adhere the glitter to it. I coated the shoulder pads quickly with two even coats of adhesive, applied sequentially. Give the Super 77 about 5 minutes to get really tacky.